Our consulted portfolio service is suited to self-directed investors who thrive on experiential learning. After reviewing the investor's current positioning, we offer reflection and guidance to help push their approach to the next level. 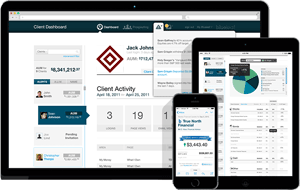 We provide industry leading software that helps clients aggregate, organize, and analyze all their financial accounts on a single platform. This saves them time in their personal financial management, and helps them better understand what they own and how it is performing. By developing ongoing dialogue, and focusing on our client's unique concerns and interests, we help sophisticated investors expand their skill set and refine their portfolios. Producing effectively with a minimum of waste, expense, or unnecessary effort.